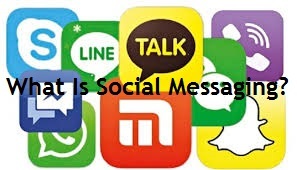 Social messaging apps have replaced texting over the last two or three years with the rise of Whatsapp, Facebook Messenger, Snapchat and Wechat. It's the latest viral social media instant messaging trend. But what we have yet to see is the business modules emerge these apps make very little money compared to the size and scale that they are currently in. We've seen Snapchat experiment with "Discover" which are feed based stories and they're trying to build a business model around sponsoring those discovered stories. Which is an interesting why of engaging users on social media. Wechat has tried, they are building subscription based products so you can directly convert into eCommerce and they have landing pages for those eCommerce sites, so you can directly buy via an experience, like Wechat, you subscribe for example; to your favorite airlines and the send you new deals and tickets directly through Wechat. While is not a popular model many of the messaging models have been gearing towards this method of engaging there audience. Facebook has a really interesting method of doing things. Their building Facebook messenger and probably Whatsapp as an actual platform and within that platform they want to allow companies to do different things. Now imagine customer care questions being asked through Whatsapp and you not getting an answer, you're actually being rebooked right away. It's tied in with payments and the transaction is processed right away from that. Now Facebook has also launch "M" which is their assistant platform which helps you perform booking to restaurants and other places. Of course they will take a portion of those bookings which is another business model for the brands on that platform and Facebook. Our outlook of the future of messaging platforms are whether it's Snapchat and the "Discover" or Wechat ecommerce, or the assisted like platform that Facebook uses. What brands are trying to do more with that is use the platform to build social media customer responsiveness through these messaging apps. This is how the future of social messsaging apps will conduct their business with their customers.